When you wish to change your look and provide nice hair a sleeker and more polished appearance, you could trust the very best flat iron to complete the task. Sometimes, individuals with curly or wavy hair wish to experiment having a different style and employ a hair tool to obtain them from the monotony with the everyday hairstyle. 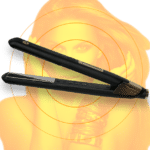 The Aliza Titanium Professional Straightener is a more heavy-duty straightener for professional use, as well as for thicker or coarser hair in UK. It features titanium plates to retain more heat and give longer lasting results with the same sleek shine. With 15 different heat settings, it still retains the control and nourishing, protective technology of the Aliza titanium hair straightener that will guard your hair from heat damage while giving fantastic results for hard to manage hair. If you want to look attractive, the titanium hair straightener can make your hair smooth and beautiful. The titanium hair straightener can do a quick job to straighten your hair. So, in order to make your choice easier, we propose you to look through our brand hair straightener review in UK. First of all, the most important feature of our hair straightener is plates material. Mainly, the coating material determines the final results. Nowadays, the most popular hair straightener is coated with titanium which make the hair more shiny, silky and less frizzy. A titanium hair straightener is notable for its ability to conduct heat effectively. This impressive conductive ability enables you to produce consistent heat with minimum temperature variation. Hence, there is no need to crank up the heat in order to achieve your desired style. It not only products result with less heat, but also with fewer passes on your strands. With lower heat, you can also expect less heat damage on your hair. The high ionic output of the titanium hair straightener also ensures faster transfer of heat. Create an iconic style statement with a perfect straight hair look using the Aliza Titanium Professional Straightener in UK. 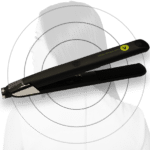 The Hair Straightener is a perfect as a portable flattening iron that can be easily carried along while you are traveling. The titanium hair straightener has slim plates with titanium coating to offer you healthy and shiny straight hair. The titanium hair straightener emits infrared heat that takes care of the vitality of your hair and makes the device suitable for every hair. By using this hair device, one could do it in minutes without making the hair too dry. Our brand can qualify as one of the best hair straighteners in UK as well as in the world.